Explanation: For the first time, astronomers have recovered independent evidence that distant planetary systems exist. 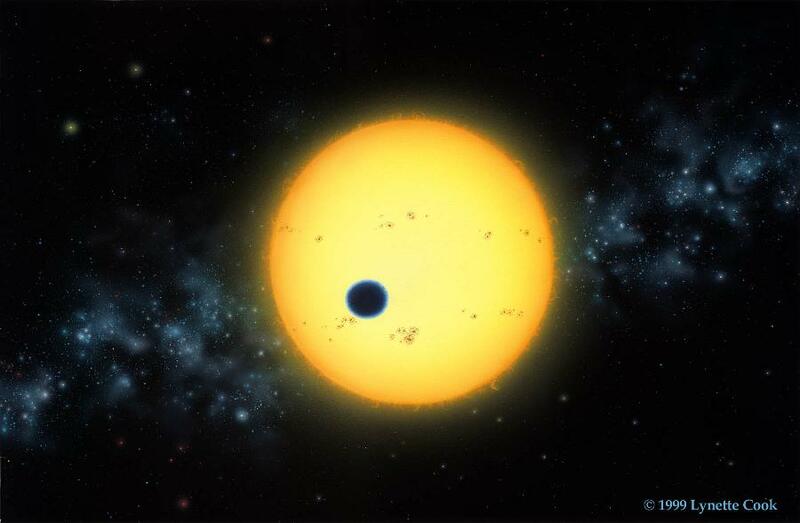 Last Friday, a team led by G. W. Henry (Tenn. State) and G. Marcy (UC Berkeley) announced the discovery of a shadow of a planet crossing a distant star. Little known HD 209458, a Sun-like star 150 light-years away, had been suspected of harboring planets from a slight wobble found in its motion. Henry et al. now find that this wobble exactly corresponds to a planet crossing the face of the star, creating the slight dimming effect of a partial eclipse. The astronomers were then able to make a groundbreaking estimate of the mass and radius of the extra-solar planet, which they find to have about two-thirds the mass of Jupiter but about 60 percent larger radius. 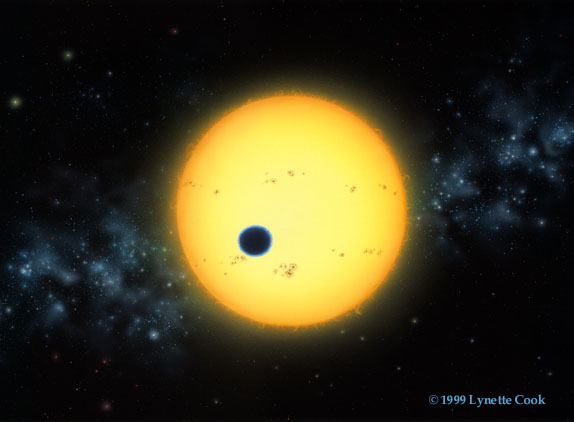 The drawing above is an artist's depiction of a planetary eclipse in the HD 209458 system.